Like many Australians Berge is concerned that the majority view is often sidelined by a vocal minority, lobby groups or political deal doing. He often found it was also difficult to get accurate information on various issues. Berge founded the party on a simple concept - to have the internet enable better communication between voters & politicians. He hopes Online Direct Democracy can make our government more progressive. I am a fervent believer in a more direct democratic system. I believe that democracy, without the constant active scrutiny by those who decide to live under it, is unlikely to fulfill its promises. I believe in "Fiscal Democracy" - so that those who offer themselves as our representatives are held accountable according to the public's wishes on how the public's taxes are spent. I hope that Australia will be the first country to lead with courage and leadership on an enhanced modern model of Democracy and that the people should not have to wait three years to remove incompetent and unwilling politicians who in the main have lost touch with wider society. The Age of e-Democracy has come and it is only a question of time before it arises around the world. The tools are here, the timing is right. I wish to see Australia become the first country to use e-Democracy in its parliament as it was the first country to give women the right to vote and to be elected. Francois is a member of the EC (Executive Committee) & the CSD (Core Staff & Delegates) Team. John, from central NSW, is a passionate supporter and advocate of the Online Direct Democracy concept. Exploring the wealth of future possibilities with research and development into the first Public prototype of the ODD online voting platform. John, who is drawing from years of prior knowledge in the IT industry, has developed and evolved the concept, from theoretical idea to BETA working prototype, with the current version called "PollyWeb". His passion for the pursuit of pure democracy will also see him standing as a Senate Candidate for Victoria in the upcoming 2019 Federal election. 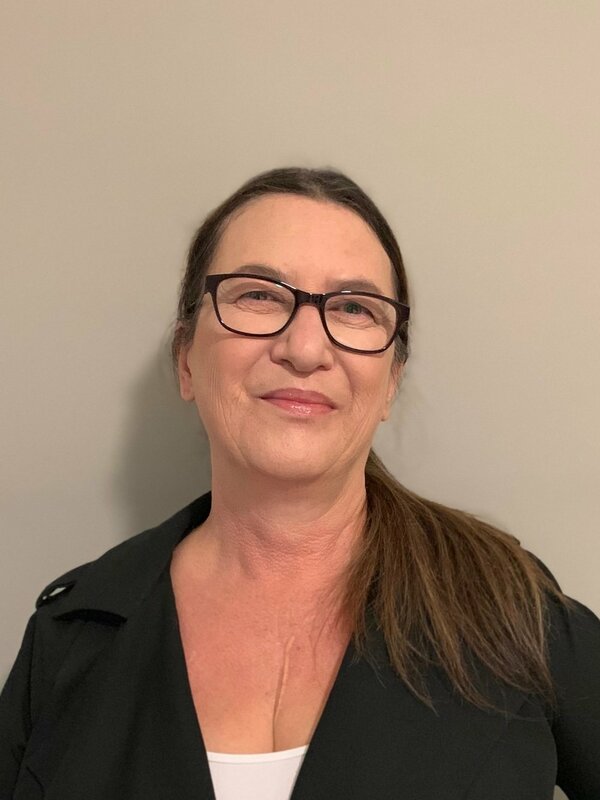 Kris Bullen is a Queenslander through and through, a long term sunshine coast local who is currently a legislative compliance manager for a National Registered Training Organisation (RTO). Like many others, Kris has observed the steady decline in the quality of federal politics. There is an element of maturity that is missing from the arena that needs to be addressed. Drawing on his experience as a workplace health and safety officer, small business owner, retail manager, project officer, legislative compliance officer and Queensland Police officer, Kris has decided to work with an established political party to bring back to Australia, the true essence of democracy. To this end, Kris will be running for election to the House of Representatives for the 'Online Direct Democracy' party as the Senate Candidate for Queensland. Joum is a dedicated and passionate advocate for Online Direct Democracy and is looking forward to the challenge of offering the Australian community the advantages of a direct democracy. Self employed in electrics and electronics, Joum currently specialises in crane-control electrics and computer systems. He is a published author of a philosophical ontology (the study of the nature of being) and has invented and then lived in a transportable home for ten years. He has also been involved in a range of volunteer activities, including being Head of Amenities at the Woodford Folk Festival for the last thirteen years, coordinating the departments' seventy volunteers for the 6 day event. Robyn Stevenson is a Brisbane resident who has lived in Queensland all her life. Currently she is a part time Marketer for a hospitality business and she spends much of her spare time volunteering for Online Direct Democracy as our twitter admin. Robyn has been a Jill of many trades and master of none, including Cook, Amusement operator, small business owner, student of law and social science. Much of this done as a single mother and then as the Brady Bunch Mum of a blended family of 4 girls and 4 boys. Phew! She is a very concerned citizen and has spent many hours, days, years volunteering as a Domestic Violence support worker, life line telephone counsellor and now Online Direct Democracy. Robyn likes to put all her energy into a cause and has found that there are so many issues facing ordinary Australians that it seems sensible to go to the source – our Government. She is passionate about Democracy and feels that we do not have true Democracy in Australia. Democracy is Government by the People and until we have real representatives willing to listen and act for the people we will always struggle to address the issues that are affecting our lives. 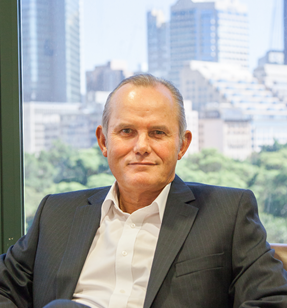 Nick is a non-executive director and has had 18 years experience as a company director, including Managing Director of QM Technologies an ASX listed company. His business experience includes expanding an Australian company in Asia, digital disruption and the challenges of cybercrime and data privacy. Nick was awarded a scholarship at University of Sydney where he completed a Bachelor of Chemical Engineering leading him to develop his career in computers and communications with Hewlett Packard and Fuji Xerox, he served on the Qld branch of the Australian Information Industry Association. He is a supporter of children with autism helping manage the Giant Steps Endowment Fund. Married with four children, he is a keen sportsman, was President of Manly Lawn Tennis Club and is a Director of Manly Golf Club. Nick believes technology can be used to increase voters’ input to government and improve our democracy, helping Australia become a stronger and more independent country. Dr Forsyth has been involved in business consulting for over 30 years. He has worked at all levels of private enterprise across a wide range of industries and in the public sector from local to Federal government. His qualifications in commerce and law combined with doctoral studies in strategic management, leadership and technological innovation allows him to bring broad knowledge and expertise to any organisation. With private enterprise experience in areas such as pharmaceutical, transport, banking & finance, communications, retail and public sector experience at Federal, State and local government levels Dr Forsyth is well equipped to provide comprehensive advice and guidance. In addition to his professional background is his involvement with the Navy Reserve in which he is currently a serving officer with over 30 years of service who has received the Prince of Wales award for his service and the Australian Defence medal. He currently works with the Centre for Defence Leadership and Ethics at the Australian Defence College, Canberra providing training to the ADF officer Corp.
Dr Forsyth is a current staff member of the Australian National University where he has provided lecturing in project management. Prior to this Dr Forsyth was a tutor at the Australian Defence Force Academy in leadership. He has written for several publications and is the author of two books.